How’s your family= aap ka parivar kaise hai? Those wishing to travel in India should learn a little Hindi to let the locals know that you are not new to the place and mean business. (Here are more Hindi words and phrases). If you want me to translate anything into Hindi then ask below in the comments. Alternatively for a professional Hindi translation services of any kind use PoliLingua that deals the most challenging translation project whether its website localization, transcription, voice-over, video game localization, or interpreting and multilingual website development. I think very spectacular work driven here. It made me chuckle On some words. I think If you are visit man then This Indian language can make some feelings for India.Mother Tongue has no options. This is a great resource. I wish I’d had this 10 months ago when I was traveling in India. Although, I probably would have pronounced everything so badly that no one would have understood me anyway. Thank you Daniel. Perhaps next time you visit, you could polish some of your Hindi. hi shalu, i think this is the great idea to learn hindi with audio or any language learning with audio. thanks for this awesome hindi phrases audio lists. What a great article!Thanks for sharing some of the most important phrases and words of Hindi language. I can not speak Hindi very well, but I’m going to improve it. Hey Shalu, You’ve done a great job by sharing some of the most important phrases and words of Hindi language. Well, I can speak Hindi very well, but It’s important for travelers. Thank you Ehsan, its great that you speak Hindi. Do you listen to any Hindi music or watch Hindi movies? Yes Shalu, All credits goes to Hindi movies lol. Other than that, I’ve also spent time on Hindi speakers. What a great article!Thanks for sharing some of the most important phrases and words of Hindi language. I can not speak Hindi very well, but I’m going to improve it . Thank you Erda, let me know any Hindi words or phrases you wish to know and I will record them for you. I think If you are visit man then This Native indian language can make some emotions for Native indian.Mother Mouth has no options. I think If you are visit man then This Native indian language can make some emotions for Native indian.Mother Mouth has no options…………..
Nisha, its not impossible. With a little practice, proper pronunciation can be achieved. Thank you Patra ji. Learning the language can help tremendously. You have done a great job, Shalu. I’ve seen quite a few Indian movies so I remember some of these words. 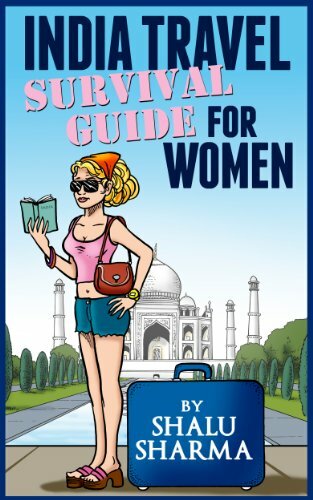 This is great for travelers to India. Thanks Shamis, glad you liked it. Glad to have read this post of yours as I only know “Namaste” before. 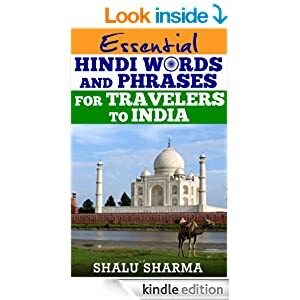 Now I get to know the Hindi equivalent of yes, no, thank you, please, excuse me and other common phrases that travelers in India would find most helpful for them when conversing with the locals. Thanks for sharing! Hindi was a tough one until I read your post. Thanks for sharing the useful information specially for travellers like myself. Thank you Nuraj, I am happy that you enjoyed it. hey awesome u have convert many nglissh terms in hindi awesome excellent job…. So awesome that you included Soundcloud clips in this post. 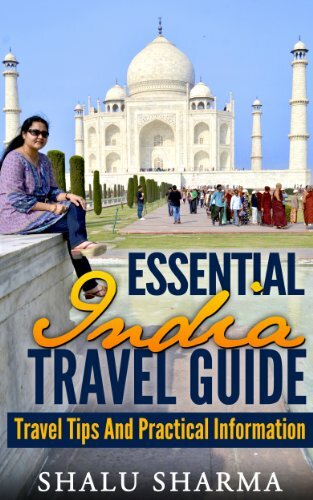 Really makes it very useful and handy – will bookmark for a trip to India for sure. Hyderabad is one of the metropolitan city in india. Hyderabad is capital of Andhra Pradesh.It is fifth largest city. It is well known for IT hubs, multi nation companies are established in Hyderabad.it is very fast developing city in the country. Hotels are very demanded business in Hyderabad due to many international companies in city. Very good tips shalu. I think they are good words for new comers to India. they will find it handy. Namaste Shalu, Aap kaisi hai? Wow, this is great for people like me who want to learn the Hindi language. How to pronounce it well, also helped a lot. Thanks-millions. Namaste to you as well. Please do listen to the recording and let me know what you think. Dhanevad app ka (Thank you to you). We can easily capture hindi language by learning this. Vanan Transcription company provides Hindi Transcription and translation services in many more languages. Thank you, Shalu! This is such a helpful website for people traveling to India for the first time. I have read through at least 20 of your webpages now and they are so helpful, especially to a woman traveling alone. I really appreciate you for creating this website! I am glad Julia, that you liked it. Please feel free to get in touch if you have specific questions. Thank you for making Hindi a little easier to use when interacting with Indians. This is my first time to India & I will be working here for 12 months so these phrases are a good starter! I would not call my interactions “conversing” but it is a beginning. Tony, simple phrases is a start and you can expand on that. Let me know if you wish to know further Hindi phrases I can add for you. Thank you for your comment. Thank you for efforts to provide basic Hindi lessons this incredible post with us . Nice useful post, useful basic Hindi language. I hope those are mandatory words to use in our daily life of Indians,I agree it especially helps to foreign people’s. I like Hindi language. It’s one of the favorite language I often speak whenever hangover with my friends. From my childhood to till now I’m watching lot of Hindi movies and by watching Hindi movies I’ve learned and I can speak fluently Hindi as well, except writing. Thanks. @ Aiden, Where r u from? You can also learn to write hindi easily because it is very simple and requires few practice.. I agree Amit. Hindi can be learnt. This is a very useful post. I am sure it will help people out. It makes a real difference when you travel to try to speak the local language, instead of expecting people to know English. On my own site, I have an excellent free Hindi course, plus a premium paid course as well for those who want to reach a level of fluency. In city I live we have a large Indian population and I like to able to communicate with them in their native language. Thanks for the useful tips. visitors. These basic things very helpful for communicate with the Indian people. You are right! Knowing a local language of a country that we travel is must necessary. We must know basic language otherwise we can’t feel the local experience. In India different corner of people saying different language but most of people knows Hindi. As a foreign traveler he or she should know. Thanks for publishing helpful information. Wow . thank Shalu. An amazing list of words. Is a must to know some words just to manage yourself in a foreign country. Very helpful for learing basic Hindi. Love the list of vocab with audio. Nice and interesting way of learning Hindi. Shalu your lessons are really helpful in learning Hindi. really nice!!! thanks for these type awesome posts .i love it !!!!!!!!!!!!!! What a great article!Thanks for sharing some of the most important phrases and words of Hindi language. Very helpful for learning basic Hindi. Love the list of vocab with audio. Helpful page for both who knows only Hindi or only English. hello Shalu, Best Information for sharing. Its very helpful for foreign country Peoples.Thanks for sharing this article. nice thanks very Helpful page for both who knows only Hindi or only English. Well done, the basic Hindi words and audio you’ve listed here, definitely help foreigners. Keep up the good work. 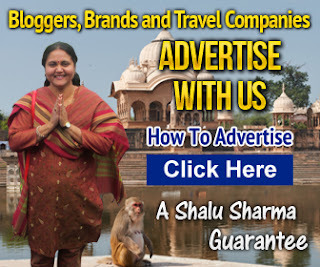 Shalu Sharma,your doing a great work.Your Website is very helpful for foreigners. Thanks for sharing this article. Awesomely curated list of hindi phrases to learn. Guess you spent a lot of time writing this post. Nice post overall. Thanks for sharing btw. Appreciate your efforts to provide basic Hindi lessons as we need to make learning all languages easier. However, I request you to detest from blatant lies and misinformation. Please get educated that Hindi is not the national language of India. Check Gujarat High Court judgment of 2010. Great Shalu! Just a correction to this, Hindi is not the national language of India and India does not have a national language. There is no provision in the Indian constitution for a national language and the judiciary has upheld this (Gujarat High Court) . Hindi is a regional language of North India and mother tongue of merely 25% of Indian Population (Census 2001). Languages like Bhojpuri, Rajasthani, Chattisgarhi etc are clubbed as Hindi dialects even though these are independent languages and are mutually unintelligible. So if you plan to travel to North Indian states like UP, Bihar, Rajasthan etc. knowledge of Hindi might help even-though English is welcome as a transactional language. But in the South, North-East, East (West Bengal, Odisha) and to a large extent in Maharashtra (except some Metros) speaking in Hindi can evoke negative responses and even scorn, so foreign travelers are advised to stick to English Phrases and also learn few words/phrases in the other official and state languages of India they wish to travel to. (example: Bengali, Marathi, Tamil, Telugu, Malayalam, Kannada, Assamese, Odia etc.) Jai Hind! Unity in diversity! Best and easy way to learn any language is to read most interesting things in that language. And jokes may be the best for this purpose. Best way to learn any language is to listen it first and spend time with that language speakers,try to learn special and most frequent words that are used.well talking about Hindi,it is the largest language that is spoken in India so try to understand them,use Hindi in jokes and use it on social media sites. Nice Information shared for foreigners, it is difficult to know our language for foreigners but you made easy for them. Superb. Nice collection of words with audio. Useful for beginners. You are doing a great job mam by providing Hindi lessons. God bless you. Wonderful. Really enjoyed your writing. And Thanks a lot for sharing. Thanks for sharing you are doing a Great Job for all people who come in India and don’t know Hindi.Some Indians make us feel proud like you. i have read your post. it is the most useful for us. i am a student and learning spoken language course, It is a software like game. i loves this english learning software. Hi, Mam, You did a good job for tourists from foreigners, He will thank for this article or I am also thanking you. I am from Saudi Arabia. Thanks again. Thanks for sharing this, you are doing a Great Job for all people who come in India and don’t know Hindi.Some Indians make us feel proud like you. I visit first time on your site & i feel good to see a woman explain hindi and indian tour in briefly on a website. Nice Article. Topic is very different and easy to understand. your way of describing in words is very good. I really appreciate you for writing such a good topic. Thanks Shalu ji. This is such a incredible type to describe any topic with the help of text & audio. i follow this blog from last 6 month & every time got a new things and different topics. Keep it up Shalu Madam. Very useful tutorials for beginners. Thank you for the sharing! Thanks for the information. I love hindi beacuse a sense of respect is there in the language. Two things i love in life. First one is travelling and second one is watching comedy movies. Goa is my favourite place to travel anf the hangover is my favourite movie. Thanks for the information about travelling to india. What a great post! Thanks for sharing some of the most important phrases and words of Hindi language. I can not speak Hindi very well, but I’m going to improve it.